This book is a very focused guide to choosing colors for your next project, without pages and pages of color theory. We get right to the good stuff. Are you frustrated when it comes time to choose colors for a project or do you have a brand color that is difficult to work with? 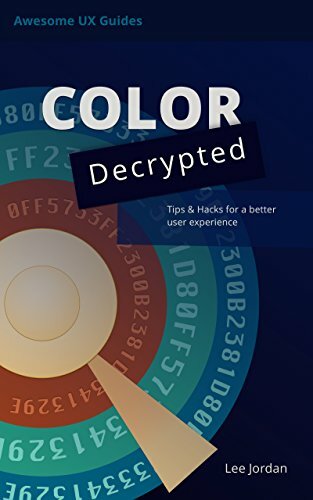 The goal of this guide is to give you quick, actionable steps you can take today to use color easily and with purpose in your projects. Color should support your purpose and not distract people from what you want them to do. I've been a developer, designer and UX professional for over ten years. I'm going to share with you time saving tips and hacks I've learned about using color effectively in projects. Whether you are new to design or development or have been working as a creative or programmer for years, there are helpful tips and resources here for you. Taming your brand colors with saturation - have a bright color that belongs on a sports jersey? Here's how to work with it. Crafting a powerful experience with saturation and vibrancy - secrets great creatives know and you should too.